This year’s Brinsley to Greasley Coffin Walk will take place on Saturday 28th July, setting off from St James’ Church, Brinsley at approximately 9.30 a.m. The walk commemorates the journey that Brinsley families had to take to bury their loved ones before St James’ Church and Churchyard existed, and the nearest burial ground was Greasley Churchyard some 3 miles away. 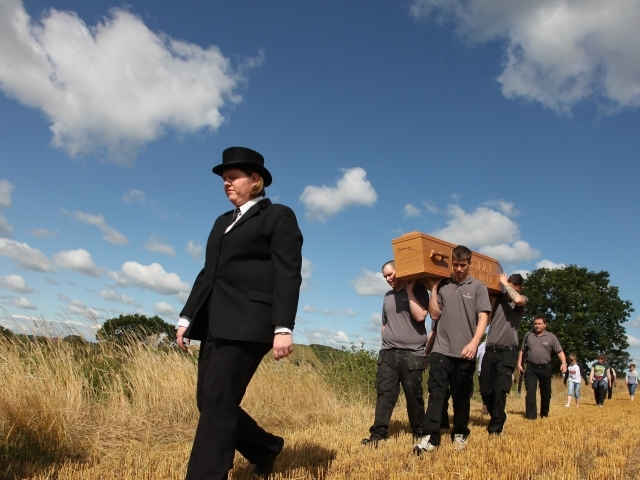 This year, Joanne is doing the walk in memory of Doreen Lockett, who always met the Coffin Walk when it arrived at Greasley Church and held a short service in Church. Doreen passed away last year, and her presence will be much missed on arrival at Greasley. Please join us for this mostly flat and gentle walk – see the map below for the start and end points of the walk.